In 1934, Karl Meyer isolated a formerly unknown glycosaminoglycan from the vitreous humor of the bovine eye. It differed from any of the other previously discovered glycosaminoglycans in that it did not contain sulfur. With its distinctive structure, its function within the body was unique. It was named hyaluronan and further scientific study ensued. At the time of its discovery, the new compound took on two names: hyaluronan when referring to its endogenous synthesis (in vivo) and hyaluronic acid when discussing research conducted outside of the body -- human or animal (in vitro). Today hyaluronan is commonly referred to as hyaluronic acid, regardless of the context in which it is spoken. Glycosaminoglycans (GAG) are linear, unbranched, high molecular weight polysaccharides containing a repeating disaccharide unit (D-glucuronic acid and N-acetyl glucosamine). Hyaluronic acid, in its natural state, weighs anywhere from 1.2 to 1.5 million daltons. Its weight lends itself to high viscosity and excellent lubrication within the body. The other glycosaminoglycans in the body include chondroitin sulfate, keratin sulfate, dermatan sulfate, and heparin sulfate. Information on the chemistry of hyaluronic acid may be found at http://www.glycoforum.gr.jp/index.html. The components of the Extracellular Matrix (ECM) are produced within the cells and then secreted to the extracellular space. The ECM is comprised of structural proteins, specialized proteins and proteoglycans. It is the proteoglycans in conjunction with hyaluronic acid that trap huge amounts of water with the ECM. The ECM is found throughout the skin, connective tissue and cartilage. Proteoglycans are macromolecules that are distributed throughout the body. they are comprised of a varied number of glycosaminoglycans and protein. The combination of a glycosaminoglycan with a protein produces a new compound with distinctive functions. Proteoglycans are found predominantly in the connective tissue and cartilage, a specialized form of connective tissue. The tissue supports and bins other tissues and organs. Hyaline cartilage is the most abundant cartilage in the body. It serves to add structure and flexible support. The proteoglycans within the hyaline cartilage are shaped like a bottle brush, with hyaluronic acid making up the backbone of the brush. Without the strength of the backbone, the proteoglycan falls apart, leaving the cartilage to deteriorate. The cartilage is avascular, as it contains no blood vessels. It is unable to be fed its needed supply of nutrients by the blood. It must be fed by the synovial fluid. 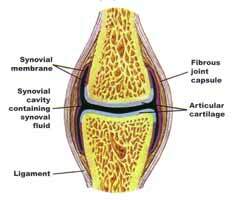 The synovial fluid is produced within the synovial membrane and secreted to the extracellular space. 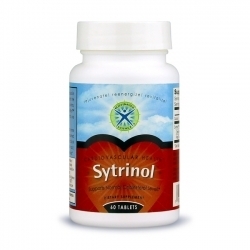 Its main function is to act as a lubricant for the joints as it sits within the joint cavities. 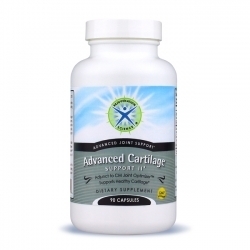 It also provides nutrients to the joints and the surrounding cartilage, as well as removes the metabolic waste produced by the cartilage. The most predominant glycosaminoglycan found within the synovial fjoid is hyaluronic acid. Without the appropriate levels of hyaluronic acid, the synovial fluid loses its ability to perform, thereby leaving the joints unprotected and the cartilage undernourished. The starting material for the hyaluronic acid found in Injuv brand HA is rooster combs. The combs of the rooster have been used for more than 20 years as a source of hyaluronic acid. The public is most familiar with injectable hyaluronic acid, due to its relatively common use by the medical community for the prevention of pain through its healing properties for osteoarthritis of the knee. Its success has been attributed to its natural viscosity and ability to penetrate the extracellular matrix of the joint connective tissue. An additional advantage of utilizing this source is that it has been clinically shown that the purified hyaluronic acid in injectable form does not possess significant humoral or cell mediated immunological activity. Stated in simpler terms, no allergic response occurs. In Europe, hyaluronic acid has been approved for injection to help correct skin contours, as well as help to decrease the appearance of lines and wrinkles. It also has been injected to improve the appearance of scars. Orally administered hyaluronic acid is different than injectable hyaluronic acid. The very properties that make injectable hyaluronic acid so successful, are the same ones that make it impossible to be absorbed through the intestines in oral form. Absorption is the uptake of substances into or across tissues. When referring to hyaluronic acid absorption, it must be able to enter the epithelial cells of the small intestine before it can enter the bloodstream and make its way to its intended target sites. In its natural state, the molecular weight of hyaluronic acid (1.2 - 1.5 million Daltons) makes it too large for oral absorption. The scientific community was faced with a dilemma. Knowing that HA is essential to the health of the extracellular matrix, synovial fluid, skin, cartilage and one of the main components for proper healing of scars, how could it be made into an absorbable form? Japanese researchers discovered an answer. A process was developed whereby hyaluronic acid was treated enzymatically to produce polymers. The process was patented in Japan (Patent no. 2971860) and is unique to Injuv. The original hyaluronic acid from the rooster combs weighs anywhere between 1.2 - 1.5 million Daltons. The polymers weigh 5,000 Daltons. This low molecular weight HA can be absorbed by the intestinal tract, proven by case studies and pharmacological data. Subsequent research has proven the absorption of oral delivery of Hyaluronic acid and its ability to be taken up by joints. The results of this study, which examined the absorption, excretion and distribution of radiolabeled hyaluronic acid after a single oral administration in Wistar rats and Beagle dogs, demonstrated that HA is absorbed and distributed to organs and joints after a single oral administration.